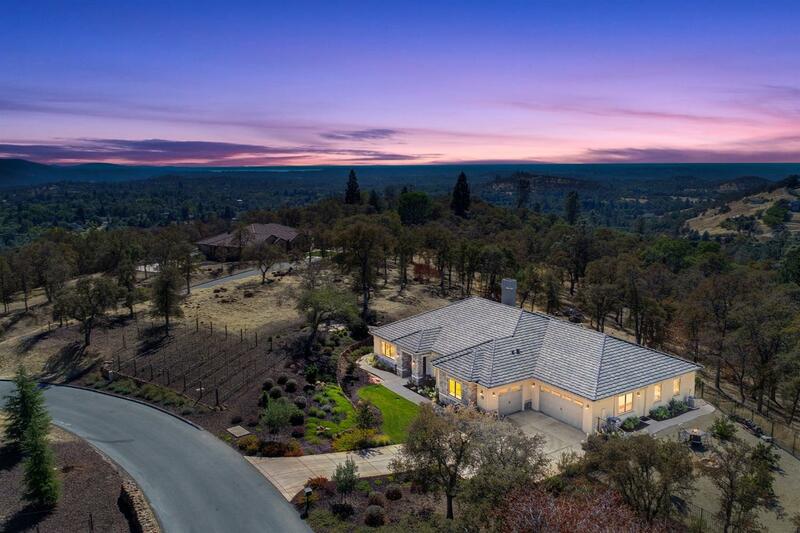 Watch the sunset from the back patio at this stunning home at the top of the hill in the Calabria subdivision with 360 degree views. This spectacular 1 story features a large great room with stone fireplace, upgraded kitchen, mud room, a dream laundry room and den. Every bedroom has a bathroom attached. Perfect for in-laws or teenagers. Home site is 2.3 acres with a vineyard and fruit trees. Upgrades include extensive hardwood flooring and quartz/granite throughout. Come live the dream!